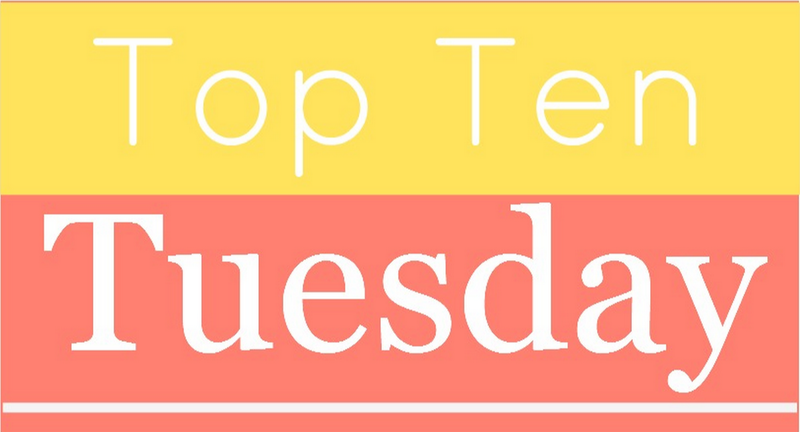 I see it as a huge success that I actually get to post my Top Ten Tuesday post, originally created by The Broke and the Bookish seen as the internet was a real hassle yesterday. I love this week’s theme, because you can just be as creative as you like with it. There are no boundaries as to the “10 Wishes I’d Ask The Book Genie To Grant Me“-topic. Everything is possible and nothing is off limits!!! How awesome is that? First things first: I want to introduce you to my genie, Cyrus! Magic usually comes at a price, but I bet he wouldn’t screw me over with my wishes. He’s awesome and kind and good-looking (man, do I miss Once Upon a Time in Wonderland sometimes …). Now, I am already super psyched that I get more than 3 wishes. Let’s do this! Wouldn’t that be awesome? No more worrying about how I best use the money I have. Facing the difficult decision as to what I buy and what has to wait is always cruel. Well, thanks to my genie I no longer have to think about that! My perfect library would be like the TARDIS, from the outside it looks like a normal-sized room, but then you go in and it’s bigger on the inside. There’d be rows upon rows of bookshelves. *sigh* Book heaven! I want a book/sequel/entire series but it’s not out yet? Doesn’t matter, because it seems I can just have it now. Does something like that exist? One would think so, right? There has to be something out there! Is it too much to ask to have a job that I really, really like? I’ve had jobs that I could see myself doing in the future, but blogging suffered a little while doing them and I hated that. Blogging already is sort of like my fun part-time job and I don’t want to give up on it. It’s not that I don’t appreciate books and want to take time for each one of them, but there are so many out there and I WANT TO READ THEM ALL. Obviously this takes time, so if I could just read faster, that would make it a lot easier to read everything I want to read. It could be a reading, signing, BookCon – whatever! I want to be there and flying takes such a long time and getting through customs and stuff is annoying … you know what I mean, right? I LOVE the Shadowhunter universe Cassandra Clare has created and I am so terribly impatient for the show to come out next January. If you’ve followed the cast on social media just a little bit, you should know that they had a blast on set. I know that they’ve already wrapped and that shooting is over, but I hope there’ll be a second season and I want to be there and just hang out with everyone. Have you read Inkheart? That’s pretty much Mo’s and Meggie’s super power and yes, that doesn’t always work out in their favour. However, I’d still like to be able to do that. I could go and spend a day in Wonderland and then, if for some reason I’d need a date for a masquerade ball, I’d read Tamlin or Lucien from ACOTAR out of the book to accompany me. Or I could go and raid the closet of a character I particularly like to get myself some new clothes. That would really open up an infinite amount of possibilities. Last but not least, I don’t want to use up all the wishes just for myself. No one should go without the possibility of reading and the great sensation of escapism that comes with it in their lives. I say: BOOKS FOR EVERYONE! Okay, now I am mostly super sad that I can’t have any of my wishes, but hey, one can still dream. What did you wish for TTT? Share a link to your post in the comments!! Wacky Internet Connection Ruins My Day! He is pretty amazing, right? I couldn’t help but include him! And thanks! 🙂 I think we all think pretty alike when it comes to book-related wishes. Then again, I found some really creative answers on everyone’s post. so, maybe we should create a new job category that would allow us to read and blog all day and still get payed enough to buy all the books? well, but if we got payed to do that, they could probably provide the books… right? possibly physical ARCs?! is that too much to ask? They definitely should!!! It’s not too much at all. I want books to put them on my shelves forever. I bet others will join us! Soooo teleportation can be used for things other than just author events, yes? Dang I should have thought of that. Best superpower ever. I’d definitely say YES! Whenever anyone asks me about the superpower I want to have, I say teleportation. It’s just so practical. Practical and AWESOME. No more wasteful driving time (aka extra sleep)?! Free travel?! Yes please. I don’t know who #7 is, but I’m definitely on board with all the rest. Mostly just the time though. I love to read and wish I could devote hours to it, but without giving anything else up. Time is really an issue when it comes to reading, right? I would love to just do that and still have all the time in the world for other things. TELEPORTATION FOR THE WIN! There are hardly any YA book conventions in the UK and it’s seriously annoying! And a wish for wish number 1 on a daily basis. I wish for the money to buy just everything I want to read all the time as well! I KNOW! Everyone says flying or invisibility (which are both cool still) but going to one location to another in a flash! Imagine the book conventions we could go to! Money is like my best friend but arch nemesis when it comes to books! My point exactly!!! Also, I have some friends who live all across the globe and meeting them more often than every 5 years would be heaven. I get that … my relationship with money is difficult too. Yeah, teleportation would be brilliant for those reasons as well. I think every bookworm has a love hate relationship with money hahaha. It’s apart of the job. Yeah, you’re probably right! We should all get jobs where we can actually get books for free. Are there jobs like that? Because if there are sign me up now please! I’m sure it’s somewhat like that in publishing companies or if you work as editor or graphic designer. Oh I didn’t know that! Those are high stress jobs though, I would love to just earn money by sipping on some hot chocolate and reading. Crime fiction isn’t my genre at all, so I think I can relate to not wanting to read those books. Yeah, I would love that too. I’ve blogged so much lately, it’s almost like a part-time job now. If only I would make some money with it, that would be awesome! I have blogged so much in the last week or so- it’s tiring but also so fun. Don’t really big blogs get ARCs or something. All your blogging being rewarded by more books go blog about. It’s like a really pretty, but vicious cycle. I know what you mean. I’ve actually signed up for NetGalley, where you get eArcs for free after requesting them. I’m only on my second book so far, but there are some good stories on there. NetGalley? Oh I have heard of that! Yeah I heard from others that it’s a really good site to get some ARCs. The only problem is that I don’t have any kind of eReader and therefore have to read it all on my laptop. It could be worse, but I prefer actual paper to the screen. Also, it’s mostly not very comfortable.. I was suppose to get a kindle a while back but I just didn’t for some reason. I guess a kindle is good for these kind of situations! I can’t read a lot of ebooks either my eyes hurt after a while at staring at a screen. That’s what we all wish for ;)! Awesome list!! We have so many in common, haha. ❤ If only these wishes could come to life! Haha true! I think everyone wishes that their wishes could come true. It would be so great! I so agree with # 3 and 6. And the reading super fast one wouldn’t be bad. If I could teleport, I’d teleport to…Hawaii. If I could ever choose a superpower, I’d always pick teleportation. It’s the easiest and most practical thing there is. I would go to all kinds of places all over the planet. Hawaii definitely being among them as well! Yes! Okay, now I need the superpower. If asked before, I’d always pick flying, but why? Teleporting is much faster. My point exactly! Unless you are really into hovering in the air, teleportation makes much more sense. Oooo…see what you’ve done? Hovering in the air would be super cool. Right? I think everyone wishes those dreams could come true. It would be book heaven on earth. Why didn’t I think of #4? That is something I have wanted my whole life, I just don’t know what job I could apply for yet! That is a pretty good wish, right?! I won’t stop searching for that kind of job ever! Haha sweet list! Having unlimited money for books and not waiting for release dates … that’s the bookworm dream! Right!? I think that was pretty much on everyone’s list!